• 1993-1997 – postgraduate fellowship by correspondence (speciality – entomology) at the Zoological Institute of Russian Academy of Sciences (St. Petersburg). Major research trends: Systematics, phylogeny, morphology, zoogeography and ecology of ichneumon-flies (Hymenoptera, Ichneumonidae); fauna and biology of some hymenopterous insects associated with fungi and dead wood; insect biodiversity of East Fennoscandia, computer databases on entomofauna; rare and threatened Karelian insect species. Andrei Humala was born on the August 9th, 1960 in Petrozavodsk. At secondary school he was encouraged to develop his interest in entomology. After the military service in 1983 he went to St. Petersburg (formerly Leningrad) State University to study for his MSc in the Faculty of Biology & Soil Science and continued his studies at the Zoological Institute of Russian Academy of Sciences. He started to study ichneumon-flies for his master work, which was devoted to the fauna of Western Caucasus. He joined Forest Research Institute as a probationer-researcher in 1989 in the laboratory of reforestation and forest defence, where he has specialized in studies of the Hymenoptera, particularly the family Ichneumonidae, as well as studies of the insect biodiversity of Karelia and Eastern Fennoscandia. Since 1991 and up to now he was employed as Junior Researcher, Researcher and Senior Researcher in the Laboratory of forest mycology and entomology. He has carried out fieldwork, traveled widely in Karelia and adjacent territories. His PhD was awarded in 1999 for work on the taxonomy and biogeography of Palaearctic ichneumon-flies from the subfamilies Microleptinae and Oxytorinae. These studies resulted in monograph "The subfamilies Microleptinae and Oxytorinae (Hymenoptera, Ichneumonidae) in the fauna of Russia and adjacent countries" (2003), and farther results of the collections treatment were encapsulated in Key to the insects of Russian Far East (2007). Participation in inventory of entomofauna of some protected territories: Nature Reserves “Kivach”, “Kostomukshski”, “Pasvik”, “Kizhi skerries”, National parks “Vodlozerskii”, “Paanajärvi” and "Kalevalskii", in mutual Russian-Finnish projects in comparative study of entomofauna in forest under anthropogenic pressure, biodiversity of forest ecosystems of Biosphere Reserve “Northern Karelia”. 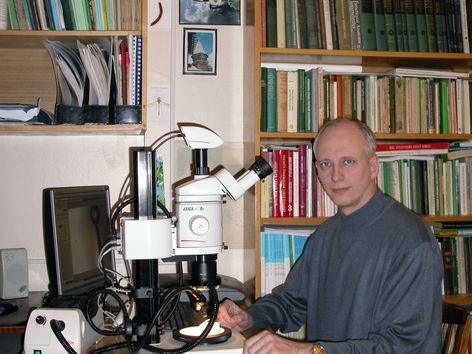 Due to the support of different grants and scholarships he studied main entomological collections of museums of North European countries: Zoological Institute RAS (St-Petersburg, Russia), Zoological Museum and Department of Applied Zoology of Helsinki University (Finland); Munich Zoological Museum (Germany), Zoological Museums of Lund and Uppsala universities (Sweden), Stockholm Museum of Natural History (Sweden), Norwegian Museum of Natural History (Oslo, Norway). Curator of entomological collections at Forest Research Institute KRC RAS. Member of Russian Entomological Society.